I wrote in my previous post about how I was trying to learn more about Bing Crosby’s taste in art. I finally have figured out a few things about Bing and his personal art collection, namely that he liked works of art with Old West scenes and also scenes of the English countryside. Bing’s televised interview with Murrow was filmed from Bing Crosby’s home in Holmby Hills (Los Angeles). Although it is hard to see, at 15:16 Bing walks past another painting of a man riding a horse. I think that this might be a painting by Munnings, but it could also be a painting by Charles Russell (especially since library in Bing’s San Fransisco home was decorated with Charles Russell’s art). Either way, the subject matter isn’t surprising, due to Bing’s famous interest in horses and horse races. 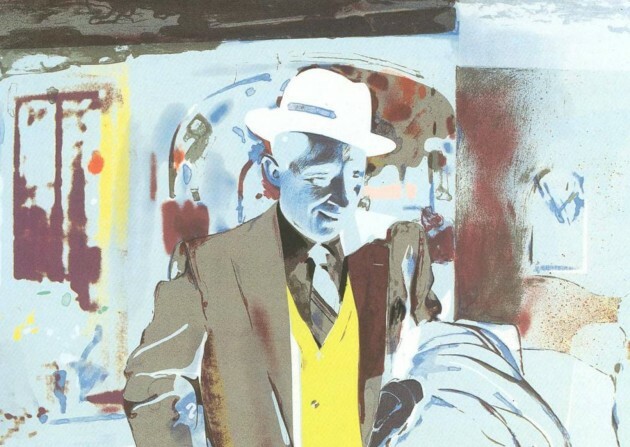 In a rather roundabout and ironic way, Bing Crosby and Alfred Munnings are also connected together through another artist: Richard Hamilton! 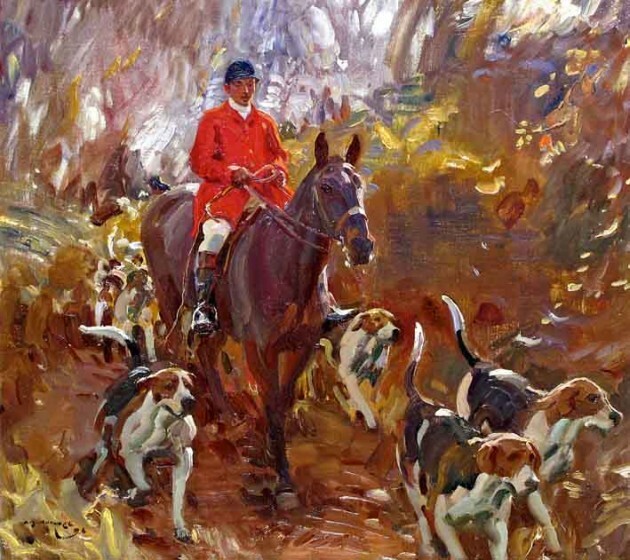 In the mid-twentieth century, Hamilton was expelled from the Royal Academy by Alfred Munnings, who was an anti-modernist. Hamilton went on to become a successful pop artist, and even made a reverse-image screen print of Bing Crosby. The 1967 print capitalizes on Bing’s status as a pop culture icon through its title: I’m Dreaming of a White Christmas. It’s ironic that the artist who was expelled by Alfred Munnings ends up creating a modern work of art depicting a pop icon, and this pop icon is one who collects conservative paintings by Alfred Munnings! Whatever modernity Crosby may have represented as a pop culture icon, his personal taste in art appears to be much more traditional and conservative.